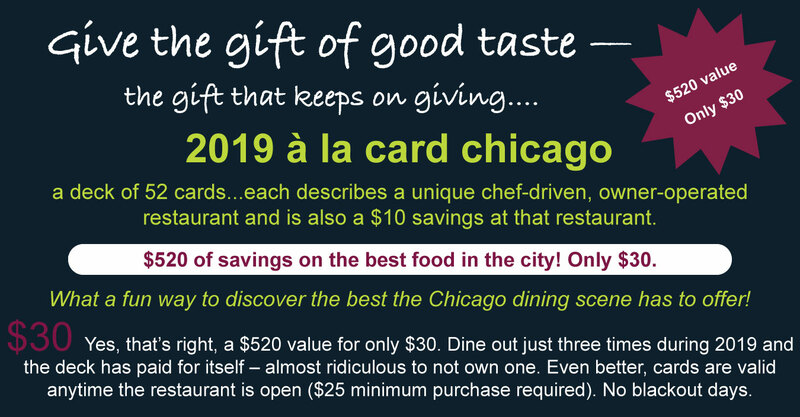 A la Card Chicago: Save on the best food in the city! 52 restaurants; a $10 savings at every one! © 2008-2019, Decked Out LLC. All rights reserved.